It’s officially the Christmas season and I can think of no better way to start it off than by reading a great Christmas book or two to help put me in the Christmas spirit. 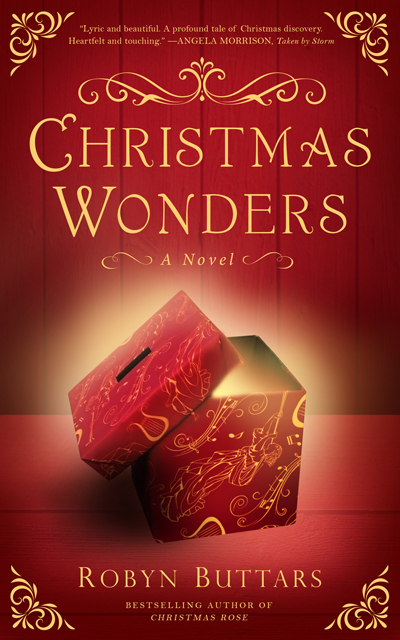 This year I was treated to a sweet and beautiful novel Christmas Wonders, by Robyn Buttars. Christmas Wonders is the story of 9-year-old Luke Cardston, a boy who has never known a Christmas celebration. Luke and his widowed father have recently left their rural ranch and moved to the city, where his father will work in a cobbler shop and Luke will attend public school for the first time. The adjustment is not easy for either Luke or his father, but as Luke begins to get to know the townspeople he begins to feel a little more at ease, though still lonely. At a community Thanksgiving dinner, Luke is introduced to a town tradition known as “Christmas Wonders.” As Luke learns about Christmas wonders, his loneliness begins to ease a bit. Following the discovery of his late mother’s nativity, Luke experiences his first Christmas wonder. Luke’s discovery helps him to begin learning about Christmas and eventually Luke creates a Christmas wonder of his own that brings the townspeople even closer with a sweet and unexpected outcome. And as with all the best Christmas stories, there is a heartwarming ending that will leave you feeling the Christmas spirit. I must admit, I was sad to reach the end of the book. I became attached to Luke, Carma and the other characters and wanted more. Christmas Wonders is perfect for one of those curl-up-with-a-blanket-and-a-book kind of days. As a family who still loves to read together before bedtime, this book would also be perfect for family story time. The chapters are just the right length to keep young audiences engaged without being too long for a nightly reading session. Christmas Wonders is available in Kindle and hardcover editions (I vote for the hardcover to add to your Christmas library–doesn’t everyone have one?) from Amazon.com.